Shmuel Yosef Agnon (July 17, 1888 - February 17, 1970) was an Israeli writer and winner of the 1966 Nobel Prize in Literature. He was one of the central figures of modern Hebrew fiction. In Hebrew, he is known by the acronym Shai Agnon. 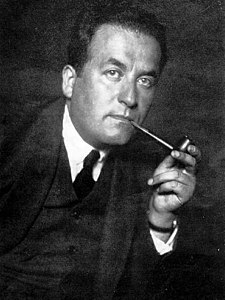 In English, his works are published under the name S. Y. Agnon. ↑ NobelPrize.org, "Shmuel Yosef Agnon"; retrieved 2012-9-18. ↑ "Amazon.com: S. Y. Agnon: Books". Amazon.com. 2013. Retrieved 9 December 2013.